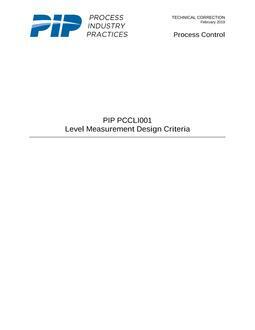 This Practice provides requirements criteria for level measurement equipment selection and for the design of level measurement systems. This Practice describes the design requirements for differential pressure, radar, ultrasonic, displacement, capacitance, nuclear level measurement systems and for level gauges. This Practice does not include requirements for tank gauging systems or weighing systems.